The Frank S. "Luke" Luqueer Photograph Collection is composed of 4 large albums covering from the 1920s to the 1950s. 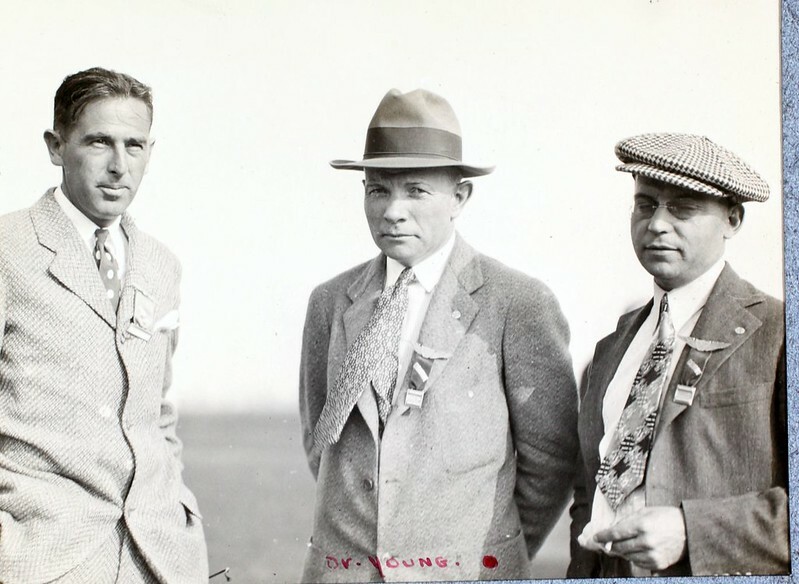 The albums contain historic photos and correspondences from many important historical figures such as Jack Frye, Pat Amelia Earhart, Wiley Post, Howard Hughes, Hap Arnold, Jimmy Doolittle, Art Goebel, Charles Lindbergh, Douglas McArthur, and Ruth Elder to name a few. Many of the images have been autographed. Frank Luqueer is a notable aviation photographer. He bought his first camera in 1903 and devoted much of his life to taking photos of historic personalities and events in aviation history. Image published by San Diego Air & Space Museum Archives on 2014-05-16 19:50:57 and used under Creative Commons license.